Enchanting Travels is proud to be sponsoring the Holi Mela Village Fair – a celebration of ‘The Festival of Colors’, in Sydney later this month. Organised by the Rotary Club of Sydney Darling Harbour, affectionately known locally as “the Darlings”, the Holi Mela will raise much-needed funds for a new mother and child health care center in in the Sunderbans region of West Bengal, India. The Rotary Club of Sydney Darling Harbour has a long-standing relationship with the Nimpith Ashram in the Sunderbans region, who will oversee the new clinic. The health care center will provide treatment and support for women who have complications in birth, and newborn babies who are at risk. 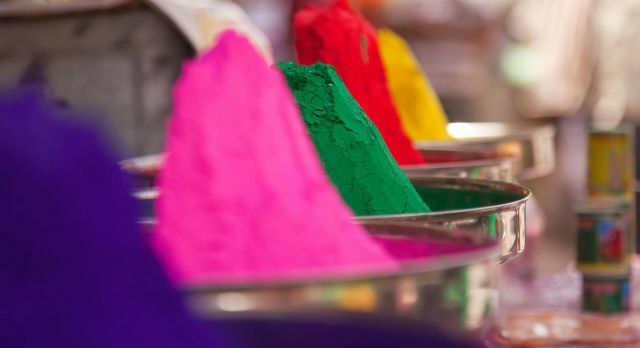 Sydney’s Rotarians will be bringing Indian culture to life with sari dressing, mehndi (henna) art, Indian cuisines, astrology and many dance demonstrations to celebrate the Holi festival and raise funds. 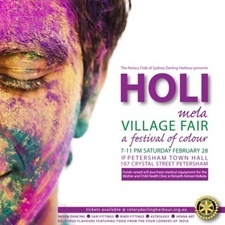 The Holi Mela event will take place at Petersham Town Hall on 28 February 2015 from 7pm – 11pm. Anyone in and around the Sydney area are most welcome to attend and meet the Enchanting Travels team. Every year, with much ado, all across India people come together to celebrate the triumph of good over evil and break social barriers during Holi, the festival of colors! The festival is most known for its playing of colors, where communities lightheartedly smear each other with color. The best place to participate in Holi tends to be in North India, especially within the ‘pink city’ of Jaipur, where an elephant festival simultaneously occurs. More information and tickets to the Holi Mela can be found on the RC Darling Harbour website. Interested in being part of the Holi celebrations in India? Promising to be a great and colourful evening. Join us. This event sounds like a wonderful way to experience India away from India and to help the people of the Sunderbans. I’ll be there…….